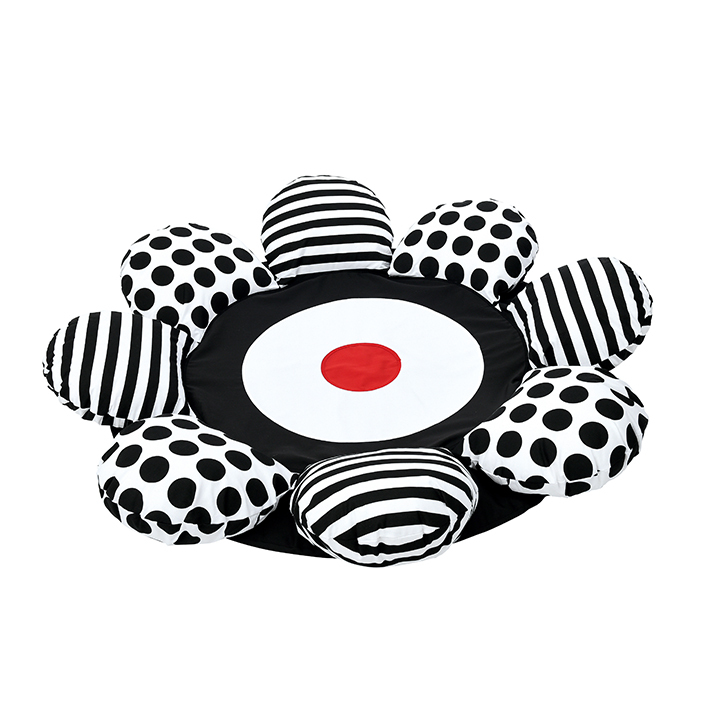 The contrasting colours and patterns of this Flower Cushion draw attention and encourage visual development in young children. Manufactured from cotton fabric and foam. Without age limit.